Dublin, Ireland, Sept. 15, 2017 — The US National Institutes of Health and the Centres for Disease Control and Prevention have both recently highlighted the sharp rise in incidence of allergies and asthma in America. It is estimated that nearly 70% of USA households are impacted by asthma & allergies and that these households want independent assurance that the products they buy will not adversely impact them. As the September 2017 Market Week draws to a close at the showrooms of Home Fashion Products Association (HFPA®) member companies, international health and consumer research organization Allergy Standards Limited (ASL) reflects on an amazing week which saw several companies doubling down on their commitment to scientific appraisal to support allergy labelling on their products. ASL makes product testing and verification results visible to consumers through their asthma & allergy friendly®” href=”http://www.asthmaandallergyfriendly.com” target=”_blank” rel=”nofollow noopener”>asthma & allergy friendly®® Certification Program. The traction of the Program in the media and the strong representation by certification partners at Market Week this year was underpinned by an article in the main trade publication by Jennifer Marks, Editor-in-Chief, Home & Textiles Today. The portfolio of clients who have engaged in the rigorous testing and labelling Program now include: Welspun, Nishat, Downlite, Hollander, Protect-A-Bed, National Allergy (Royal Heritage), AQ Textiles (Intellatex), all of whom displayed an array of certified products this year. Downlite and Hollander in particular both continue to extend their respective certified bedding lines as they both embark upon ambitions R&D programs. “While we work directly with the product development teams, it’s exciting for consumers to see such large companies investing in the science behind our certification. Manufactures really appreciate the insights we can give them and show the importance of structured data and transparency when it comes to textiles.” said Dr John Ryan, Chief Strategy Officer for ASL. Big brands such as Martha Stewart and Ralph Lauren along with leading retailers know that the educated consumer, particularly millennials, can go beyond standard labelling practices and determine product constituents, its lifecycle and what it means to their health and indoor environment. The companion App to the Program really allows a scientific, evidence-based dialogue to open up with brands, retailers and/or communities about what is really in pillows and home textiles. There are many legal pitfalls when testing textiles for allergy claims and confusing terms like ‘hypoallergenic’ and ‘dust mite proof’ can make it harder. The role of the Program is to assist manufacturers in deciding which path to take and ultimately saves the manufacturer time and money in textile sourcing and product development. It will also assist them in developing products that resonate with customers from a health and wellness point of view. There are now a large number of textile certification standards available in the textile sector for both consumer products and their components. For example Pillow products that are certified asthma & allergy friendly®® are tested to the ASP:02:01 Pillow Certification Standard. The Textile Certification Standard utilizes proprietary and recognized scientific techniques to assess Pillows for likely exposure to allergenic and irritant materials, both at the time of purchase and thereafter when in use. Allergy Standards Ltd (ASL) subjects the Pillow to both physical and chemical testing to ensure that the Pillow does not have properties that is likely to irritate both asthma and allergy symptoms in susceptible people. Product samples that pass testing are granted a certificate stating that the particular Pillow meets the requirements for the asthma & allergy friendly®® ASP:02:01 Certification Standard. Regulatory bodies in the USA, Canada and the Europe such as the EPA are increasingly strict with the interpretation of allergen avoidance claims. Essentially any product that makes dust mite claims runs the risk of being classified as a Biocidal under some legislations. Many companies are dramatically narrowing the product claims they make without third party verification and retailers are increasingly risk averse in this area. 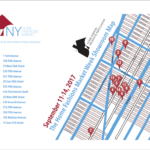 ASL TO MEET CLIENTS AT THE NEW YORK HOME FASHIONS MARKET WEEK ASL will be attending the four days of the event from the 11th to the 14th of September, 2017, meeting with some of our clients but also with some potential new clients.